I finally broke down and got a haircut this weekend -- it's not that I didn't need one, it's just that I couldn't see blowing the better part of a double sawbuck on something that wasn't absolutely vital. It's not that I'm cheap. It's that I'm broke and I'm cheap -- which makes for an ugly combination. It was so windy Saturday morning that the car door got away from me as I was trying to open it -- this was against the wind and I (almost) made the painful mistake of trying to grip the door with my right hand... which would have been entirely crushed about a millisecond after I made the attempt. Chicago, you may know, is called the Windy City. But it's not for these gentle spring Zephyrs. Most historians agree it has to do with the volubility of our politicians (the volubility of our bloggers not being taken into consideration back in the 19th Century, when the nickname was coined, Al Gore having not yet invented the Internet). But back to my hair. Even my loyal Long Suffering Spouse said I looked like a clown. The sad part is, there is less and less hair on the top of my head, so when what's there gets long and windblown, it really does look clown-like. Bald clown-like. Only my hair is gray. My body instinctively knows that it is losing it's natural cover. And it's trying to compensate. But it's aim is lousy. That's the only explanation I can think of for the hairs sprouting at odd places on my ears. This morning I cut a three inch hair that had mysteriously sprouted beneath my eyebrows and above my eyelashes. I couldn't see it in the mirror, but I knew it was there because it was driving me crazy when I wore glasses. I thought I was looking through a haze. So I got the haircut and I look appropriately businesslike and professional again. Ironically, with the hair very short I look less bald. If you stand at certain angles. And the lighting isn't too bright. Maybe tomorrow I'll resume pontificating on matters of great import and moment. But, looking increasingly like the fellow on the right, it's hard even for me to take me seriously. It's not because I'm in whiny self-indulgent mood (see above) that I'm taking a break from the Blogosphere today... and maybe tomorrow, too. It's just that it's the end of the month and I've got a lot to do. I know I'm not keeping up on my visits as it is, and I'll try and do better. Anxious father week continues here at Second Effort. Older Daughter has an away message on her gmail chat status congratulating her boyfriend. You've read about Older Daughter's Boyfriend here before. Recently, they marked a fifth anniversary as a "couple" -- but there was no announcement. I think Older Daughter was thinking there would be one; I think she was disappointed that no ring was proffered. Older Daughter's Boyfriend has apparently broached the topic -- I think if you asked him he'd say they have an understanding -- but the discussions have so far been theoretical. No hall has been rented. No church has been reserved. I've written before how I think Older Daughter has tried, her whole life, to rearrange the universe to fit her wants and needs. Sometimes what Older Daughter wants is contradictory -- impossible under the laws of nature. I fear this is one of those times. Older Daughter is a homebody. She's happy to come back to the nest; frankly, we've had to push her out the door on occasion because she was obligated to be somewhere else. If the Boyfriend is waiting for her at his parents' home in Indianapolis, or at school in Champaign, he'll invariably have to call her cell phone once or twice to prod her into moving. She's happier in Champaign now than she was in Indianapolis last year -- she likes nursing school so far and she didn't like her job in Indianapolis. But she still seems happiest at home. And the Boyfriend, who's getting a Masters degree in architecture from the University of Illinois could certainly find work in Chicago if he wants to. It's pretty obvious that this is what Older Daughter wants. But the Boyfriend is an only child. His family is well established in Indianapolis and he had a good job there last year before returning to school -- and that job is waiting for him when he returns. And now we tie in the congratulatory note on Older Daughter's away message: It is for two things. First, he's received a fellowship that will allow him to finish his degree without financial embarrassment. He may actually pocket a few coins. Second, the head of the company for which the Boyfriend had worked in Indianapolis -- not an immediate supervisor mind you, but the head guy himself -- has taken a personal interest in the Boyfriend's budding career. And the head guy has political aspirations, too, apparently -- in Indiana of course -- and hopeful prospects at that, according to Older Daughter. And this man has indicated that the Boyfriend can hope for involvement in this arena as well... and the Boyfriend is definitely interested. He's not moving to Chicago any time soon. He's probably never moving to Chicago. And Older Daughter, who wants the Boyfriend but wants Chicago too, is running headfirst into a hard reality: She's going to have to make a choice. I think the choice is simple -- and I'll be most of you do, too: If Older Daughter wants a life with the Boyfriend, she had better get used to the idea of being a Hoosier. It's not like she would drop out of our lives entirely -- Indianapolis isn't that far away. And they have nursing jobs there, too. But someone else's choices are always easier to make than our own. And an anxious father is sitting on the sidelines -- again -- able only to offer encouragement. I didn't tell anyone but Long Suffering Spouse when I entered Middle Son in a contest earlier this Spring. It was something I saw on line -- the St. Louis Cardinals were looking for untapped talent and soliciting stats on line is a heck of a lot easier than staging an open tryout. Please don't tell my pastor. I think he'd excommunicate me. As a life-long Cub fan, born and reared in the German community on the North Side, Fr. Ed (no, not his real name) can't help himself: He hates, loathes and despises the Cardinals with an un-Christian fervor. Once, many years ago, we were working a reception after Sunday Mass, pouring coffee and looking the other way as the senior citizens pocketed as many sweet rolls as they dared. Middle Son was running around the room proudly wearing his new team t-shirt. All the park district teams are named for real, live major league teams. That year, Middle Son was a Cardinal. Fr. Ed confronted me: "You let your son go out in public, dressed like that?" Which brings us back to the contest. It was early in the season when I sent in Middle Son's stats... and they were pretty sparse then. He's 6'4" and 185 lbs. He's not yet 21 (and, oh, does that bug him). He doesn't have a blazing fastball. He's what they call a "crafty lefty." I watch a lot of baseball on TV. And I listen to baseball games in the car when I can. I can't begin to estimate how many times I've heard an announcer talk about how a big left-handed kid can find work in the majors -- in the majors! -- if he can just get the ball over the plate. In the age of Billy Beane and Theo Epstein, stats are supposed to be the great predictor: It doesn't matter that you've pitched in small college ball or big-time NCAA Division I. They look for stats; if you have them, they will find you. Isn't that what they said in Moneyball? But there's two kids on Middle Son's team who got invited to a better summer league this year (not the Cape Cod League, something out West, but still... an opportunity to be seen). Middle Son was not chosen. The college season is already winding down -- April's not even over! -- and Middle Son interviewed for a summer internship yesterday. As an auditor. While he's pitched well, the team has faltered just a bit -- they've got a great record, but they've lost games they probably needed to win in order to secure an invite to the NCAA tournament. Middle Son is a team player; he's quite down in the dumps at the moment. He sees baseball coming to an end for him. He's losing hope of reaching what he calls the "next level." I want to encourage him to follow his dream -- but I don't want to push him to follow mine. And I begin to think those announcers who talk about lefty pitchers have exaggerated all these years. I wish I could do more -- do something -- to advance Middle Son's cause. But all I can do is watch, and listen when he wants to talk. Or, in our case, proms. Plural. Over thirty years ago, as I mentioned in that linked post, I was denouncing proms as pagan ceremonies where any remaining virgins were rounded up and ritually deflowered. Of course, I couldn't get a date to my own prom. So I may have been bitter.... And, at the time, I was living in a small town. Well, anyway, Younger Daughter accepted an invite to one young man's prom -- that's coming up on Friday. She doesn't much care for the young man in question -- he, supposedly, harbors hopes of making Younger Daughter his girlfriend. Younger Daughter is attending, she says, only "as a friend." Conflict is likely to ensue. And she did not invite this boy to her prom. That would have given him ideas she'd done her level best to squelch. You must remember that, here in Chicago, many of our Catholic high schools are still single gender. That includes the schools where my children have gone. So getting a date isn't as simple as mustering up the courage to speak to someone after fourth period English. Because that someone isn't there. So alternative means of identifying prom prospects are employed. There are meetings among the unattached girls, evaluating possibilities. These meetings extend well into the night via cellphone. And there's research: Facebook is consulted. And consulted. And consulted. Recently, a new prospect surfaced. Younger Daughter announced she would probably ask "Paco" (not his real name). Paco attends the same school as Youngest Son. "I know who he is," Youngest Son told Long Suffering Spouse and me when we asked. "I think he bathes occasionally." We were not particularly thrilled at this assessment. Yesterday, Younger Daughter revealed that Paco had asked her to his prom and she reciprocated. "He's an artist," she said. "When you've tired of him, will he try and blow up our house?" Running onto the front step could have been painful. We never did figure out who was responsible. Students or former students of my wife were suspected -- but so too were certain persons acquainted with Younger Daughter. Younger Daughter, in fact, seemed persuaded that the culprit was someone she knew... but she couldn't prove it and nothing ever came of it. The police -- though summoned -- didn't even make out a report. But that doesn't mean I'd be so lucky next time. So you can see, perhaps, why this question was one I felt I had to raise. Younger Daughter's answer was equivocal. "I don't think so," she said. The prom battles will continue. Well. Late again -- two weeks in a row. I always know where I am and where I'm going: I'm right behind the 8-ball... and I'm going straight down the tubes. Not everyone in my family was blessed with such an unerring sense of direction, however. Older Daughter, for example, was about 12 or so when we moved in to our present house. So when she decided to go for a walk in the neighborhood, we had no objection -- until she got lost going around the block. We're still not certain how this happened. Not that she can explain it, of course. Turn-by-turn in-car navigation systems are supposed to help directionally challenged people... but the devices don't always work as well as one might hope. Consider this recent case of a Wisconsin tourist driving down Cicero Avenue in Southwest Suburban Oak Lawn. According to the linked story, the "24-year-old driver was obeying his GPS system when he took a right turn onto the tracks and his car's undercarriage became lodged on the rail." His empty car was hit by a passing train before it could be moved. Said Oak Lawn Division Chief Mike Kaufmann, "GPS will tell you something, but you still have to pay attention to what's going on." I had a story here in January 2007 about a similar problem. A German driver, it seems, "suddenly veered to the left and ended up stuck on a railway track" simply because he was ordered to do so by his satellite navigation system. According to that earlier story, "Several German motorists have crashed their cars in recent months, later telling police they were only obeying orders from their satnavs." In recounting that tale, I resisted the temptation to make a politically incorrect remark about Germans just blindly following orders -- and, of course, now I'm so glad I did. I mean, it just happened to a guy from Wisconsin. Whose name wasn't mentioned... and there are an awful lot of folks of German descent in Wisconsin.... but no, it doesn't mean he was German. Probably. Hat tip to Second City Cop for the link to the WBBM Newsradio 780 story. I haven't used this "mailbag" graphic in a while. It's not that I don't get interesting email -- or funny spam -- it's just that it can become... repetitive after awhile. "Because of unusual number of invalid login attempts on your account, we had to believe that, their might be some security problem on your account." Kids: Here's a reason why we keep harping on you to learn basic English grammar. If you don't know the difference between "there" and "their" you might be taken in by the pirated corporate logo. If you failed to recognize the many errors in this email you might be lulled into a false sense of security by the almost-but-not-quite-quoted-accurately privacy and security language used in the boilerplate section of the email... and you might actually click on one of the response links laid out for unwary recipients. What will we do, though, when the Nigerian generals' widows learn proper English? Stumbled upon at this site. You have to click on this one to make it work. Here is our fragile planet: We cling to it, like mold on an orange, living and dying, eating and drinking, making love and war, all beneath a frighteningly thin, gauzy veil of atmosphere. Tomorrow will be the 38th observance of Earth Day. There has been progress -- progress in the sense that we finally seem to understand that it is not best to foul one's own nest. Of course, we claim to be an intelligent species -- and the dimmest of animals knows this instinctively. People aren't catching fish for lunch in the Chicago River just yet -- but the first Mayor Daley's vision of the future doesn't seem so ridiculous today. There are fish in a river that didn't seem to have water in it 38 years ago. 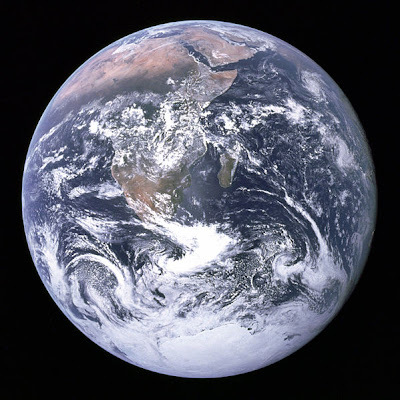 But someday -- and I hope that day comes soon -- Earth Day should be celebrated as a sort of Mother's Day for the human species: That on Earth Day we would look back fondly at Mother Earth as the womb from which humanity sprang. Science fiction? Sure. Today it is. But right now, this crowded rock is our only ride around a universe that we learn -- every single day -- to be increasingly dangerous. Happy Earth Day. Muggle judge says Harry Potter "gibberish"
At first blush, this kind of statement seems like something that will not enhance the reputation of the American judiciary -- but think it through before speaking ill of the court. You may have noticed that J.K. Rowling, the author of the Harry Potter heptalogy, testified this week in a New York Federal court in a suit to prevent Steven Vander Ark from publishing The Harry Potter Lexicon, an encyclopedia of places, characters, creatures and spells from the novels. It was one thing when Vander Ark's encyclopedia was just a website. Larry Neumeister's April 13 story for the AP says Rowling was a fan of the website, stating in a May 2004 post on her own site, "This is such a great site that I have been known to sneak into an Internet cafe while out writing and check a fact rather than go into a bookshop and buy a copy of Harry Potter (which is embarrassing). A web site for the dangerously obsessive; my natural home." Fast forward now to this week and a story that appeared yesterday in the London Times: U.S. District Court Judge Robert Patterson Jr. "said that he had read the first half of the first Harry Potter novel to his grandchildren, but found the 'magical world hard to follow, filled with strange names and words that would be gibberish in any other context.'" Gibberish? Hard to follow? Compared to what? The New York lawyers who appear before the learned Judge Patterson must be marvelous writers indeed. But, believe it or not, this post on something called the Gryffindor Gazette suggests a more plausible explanation: Judge Patterson has urged the parties to settle the case. Testimony in the bench trial has closed. Judge Patterson has taken the case under advisement -- and, as the Times article notes, "It will be weeks before lawyers finish filing documents, and possibly longer before a verdict is given." This interval gives the parties an opportunity to settle. Telling Ms. Rowling that her books are hard to follow -- and that a reference encyclopedia might be useful -- gives her and her lawyers some possible motive to do just that. Earthquake today causes damage in Chicago? Yes, there was an earthquake this morning centered near West Salem, Illinois -- a couple of hundred miles south of Chicago. The quake, which had a magnitude of 5.4 or 5.2 depending on which account you look at (the Russian judges are always the toughest aren't they? ), was felt as far north as Wisconsin and -- I'm here to tell you -- caused damage even in Chicago itself. No... wait a minute... on second thought, Youngest Son's room always looks like that. I noticed, though, I haven't done one of those 'day in the life' posts for awhile. That sort of post may not be particularly riveting for my legion of six or seven loyal readers, but when I whisper my Blogger password on my deathbed like Orson Wells in Citizen Kane, and the computer mouse drops from my fingers like the snow globe from the dying clutches of Charles Francis Kane, my heirs can enjoy hours or, more likely, minutes of amusement and fond recollection whilst wading through the archives. And, no, my password is not "Rosebud." And even it was, I changed it. So there. I am at home now, about to leave for a meeting in the suburbs, a meeting at which a group of underemployed lawyers will tell lies to one another about our great plans to refer business to each other and thereby keep us all firmly anchored to the middle class. If all of the promised attendees show up, there'll be four of us. The gasoline will cost me more than I'll probably make as a result of the meeting. But we must do something, eh? In the meantime, I've not wasted the morning: I've spent the time rearranging the deck chairs on the Titanic. That's the expression I use to describe my the semi-monthly ritual of trying to squeeze too few dollars into too many bills. I've become adept in walking charge card bills into the bank or store on the due date. There's a bunch due today and tomorrow. I had hoped that more of my receivables would turn into actual money by this point in the month -- but, alas, it didn't happen. So, I'll be making minimum payments. Actually, this is a step up for me. I've learned a hard lesson in recent months. Wishing and hoping and planning and praying (you know -- that's a song lyric, isn't it?) for a check to come in the mail doesn't get it to the Undisclosed Location any faster. In the meantime, holding up the payment of a bill for an extra day or two in the hopes of paying more or even paying off the balance is entirely counterproductive. I had one card on which a promotional rate of 1.5% went to 17% overnight because I walked in the payment a day late. From the suburbs, it'll be off to the Loop, driving Long Suffering Spouse's van. Despite my best efforts to control myself, I'm still wishing and hoping and planning and praying that today, maybe, please God, the postman will bring a check. And you know the funny thing? So far, this year is soooooo much better than last year. A 2002 story in USA Today reported that scientists had linked high cholesterol to the probability of developing Alzheimer's disease. The paper reported that "high cholesterol levels appear to harm the brain and lead to the type of mental decline seen in Alzheimer's disease" -- but that "older women who took drugs called statins... had less mental impairment than non-users." Ah, but that was controversial. 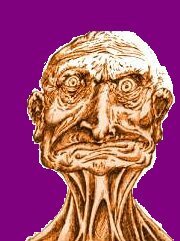 Here's a link to a 2005 article published on health-and-cholesterol.com that sets out to debunk the myth that Alzheimer's and cholesterol levels are related. Science Daily reports today that "People with high cholesterol in their early 40s are more likely to develop Alzheimer's disease than those with low cholesterol, according to new research." This study, presented at the ongoing meeting of the American Academy of Neurology, says, according to the linked article, that "it would be best for both physicians and patients to attack high cholesterol levels in their 40s to reduce the risk of dementia." Welcome to Chicago, ladies and gentlemen. But do you wonder why patients are confused? Alzheimer's research -- and a new kind of spam email? Long Suffering Spouse came late to the computer revolution. Anything she needed -- an email to be sent, an article to be found -- she asked me to get. When she went back to school, though, to get her teaching certificate, she was forced to learn about email on her own. And then she learned about spam. She would occasionally forward some of the junk emails to me. These were the ones that touted pills or other concoctions to enlarge... well, let's just say she doesn't have one and I do. "This must be for you," she would type into the forwarding message. Thanks a lot, I thought to myself, wondering just exactly what she meant by this. Now I think a new wave of spam email must be in the offing. This is based on a story I heard about coming from the annual meeting of the American Academy of Neurology in Chicago. A study was presented at that meeting that indicates scientists "may have learned why some people retain sharp minds and clear memories despite having the so-called brain plaques and tangles that are the hallmarks of Alzheimer's disease." What distinguishes these people? Apparently they have larger hippocampi, lobes on the left and right sides of the brain which are structures "vital to memory formation." Yes, baby boomers, brace yourselves: The Nigerian generals' widows will now have to compete for space in your spam filter with miracle medicines designed to make your hippocampus huge. Blogging may be hazardous to your health. At least this was the implication of Matt Richtel's recent story for the New York Times (genuflection optional) which has been reprinted all over the world. The above link is to a paper in Sydney, Australia; here's a link to the same story in the Tampa Tribune. Same article. With tongue planted firmly in cheek, even Mother Tribune weighed in on the dangers in an editorial yesterday. "Having just started our own editorial board blog, Vox Pop," the Tribune said, "we looked forward to many hours of carefree opining about all sorts of stuff, possibly even doing our most insightful keyboard pounding while lolling at home in our pajamas, the way real bloggers do.... Sounded pretty close to nirvana." But Richtel's story about bloggers succumbing to heart attacks "chilled our blog lust." "The blunt truth," concluded the Tribune, "is that most bloggers don't have the following they imagine they do. So lighten up, bloggers." Now wait just a darn minute! I know I've got at least six or seven readers -- I'm not imagining that! Hmmmmmm. That doesn't look as good in print as it did rattling around in my otherwise empty head. A more coherent rebuttal was offered by this article in the L.A. Times (from which this cool illustration was shamelessly lifted). It quotes extensively from Larry Dignan's article for ZDNet.com in which Mr. Dignan points out, not unreasonably (quoting from the L.A. Times here), "extreme blogging can certainly cause the kind of stress that can harm your health and decrease quality of life. 'But is it any worse than being a corporate lawyer?' [Dignan] asks. 'How many of those folks dropped in the last six months? How about mortgage brokers? Hedge fund traders? FBI agents?'" I'm a lawyer and a blogger. Am I in some sort of particular danger here? Well, anyway, you've been warned. Americans dread the Ides of April like Caesar should have dreaded the Ides of March. Yes, it's tax day today. So our second entirely unrelated tip concerns the IRS. In the musical "Fiddler on the Roof," the Rabbi says that there is a blessing for everything. Naturally, some village wiseguy asks, "Rabbi, is there a blessing even for the Czar?" "Yes," the Rabbi says, "even for the Czar." And he intones, "God bless and keep the Czar" -- and then speaks, with true feeling -- "far away from us." 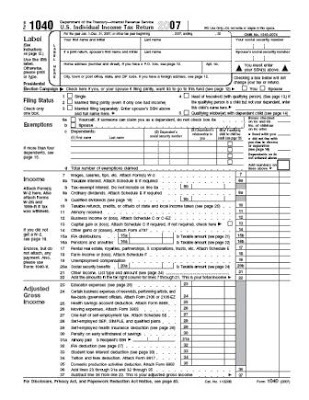 I submit that this is the way to handle the IRS as well. I had a partner once who used to boast that he had the IRS on speed dial. He used to have troubles making payroll tax deductions and the like. Eventually, he got so far behind that the IRS put a brick on my separate business checking account. This is one reason why he's an ex-partner. So my second tip: God bless and keep the IRS -- far away from us. If you have a child who's nearing Driver's Ed age and you're thinking of teaching that child how to drive, you need my final tip: Don't. Somehow, in my family, I became the designated instructor as each kid learned to drive. Long Suffering Spouse signed up Youngest Son for Driver's Ed on Saturday. Learn from my mistakes. Figure out some way to make your spouse do this! Chicago's St. Xavier University remains closed at this hour as school and law enforcement officials try and identify who might be responsible for threatening graffiti in a dormitory bathroom. University officials cited recent tragedies at Virginia Tech and Northern Illinois University in support of their decision. "It's a difficult decision; it's a disruptive decision," University President Judith Dwyer told the Chicago Tribune. "But safety is our first priority." Who can argue with erring on the side of caution? Neil Steinberg registered his dissent in his column in this morning's Chicago Sun-Times: "First," he writes, "it is a completely unsustainable policy. If St. Xavier does this for every bit of menacing graffiti, they might as well close down the school now. If other colleges followed suit, academia would vanish (whether that would be a good thing or not is a discussion we can save for another day)." He goes on to argue that the theoretical danger of a graffiti writer becoming a genuine mass murderer is less than the danger of sending a bunch of college kids home on an unplanned basis. And it wasn't just St. Xavier's that closed: Not wanting to be outdone, a couple of high schools and some area grade schools also decided to close today -- just in case -- although, at this point, they expect to be open tomorrow. No one is saying when St. Xavier's will reopen. And, as if to prove Steinberg's point, the Tribune now reports that Malcolm X Junior College has been closed today because threatening graffiti has been found in a bathroom at that school. I don't pretend to be an expert in all the details of the tragedies at Virginia Tech or NIU -- but I don't recall reading that, in either case, the killer warned of his impending rampage by leaving graffiti on a bathroom wall. In the case of St. Xavier's, the graffiti in question was left in a dorm bathroom. That may -- and probably should -- limit the number of people likely to have scrawled the threat to a reasonably small, easily identifiable group. Call those kids in. Look at their files. Who's got a big paper due? Who has a big test? Is one of the possible suspects a loner who scares the other kids? A big mouth who craves attention? I sympathize with the administrators at St. Xavier's. I do. And I worry about my own kids. So far three have lived on college campuses; Middle Son still does. And Older Daughter, though a college graduate, still lives in a college town, attending nursing school. But we have to get a grip here. This can't be allowed to become a regular thing or no college will ever get through finals again. Obama an elitist? Well, yes, but aren't they all? Why should it surprise anyone that Obama sounds sometimes like an elitist, particularly in an unguarded (and supposedly off the record) moment? He's a Harvard-educated lawyer who's taught at the University of Chicago, a United States Senator, married to a Princeton-educated, highly successful corporate lawyer. 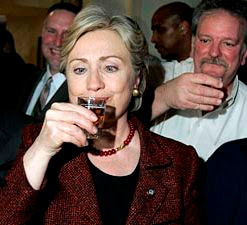 But let's take a breath: Does this make Hillary a Champion of the Common Man? She and Bill have raked in a cool $109 million in the past eight years or so. She's a Yale-educated lawyer, United States Senator, and the wife of a former President of the United States (and Rhodes Scholar). Nor should we exclude Senator McCain from this analysis. Not only is he also a member of the World's Most Exclusive Club, he is a graduate of the United States Naval Academy. He never achieved flag rank in his own right (he retired from the Navy as a Captain), but he is the son and grandson of four-star admirals. None of these candidates could or should be confused with Ralph Kramden or Ed Norton. Nor would we want to put Ralph or Ed or Cliff or Normie (from Cheers) into the White House. What may be important is that Sen. McCain has experienced adversity, very personally, as a prisoner of the North Vietnamese. Sen. Obama has witnessed adversity as a community organizer on Chicago's South Side. Sen. Clinton has read about adversity and a lot of other stuff, too. And it isn't just folks in small towns who are bitter about what passes for political discourse in this country. Illustrations: 1. AP photo obtained from Yahoo! News and cropped to fit this page. 2. AP photo obtained from Chicago Tribune website and also cropped to fit. Don't get mad at me for the sexism implicit in this cartoon; for all I know Mr. Drabble usually and cheerfully pitches in with the laundry and dishes and other housework. No, my focus is on panel four -- where Mr. D. sees his wife, goggle-eyed, fixated on the computer screen and says, "I see you've discovered Spider Solitaire." It was a truly dark day when I discovered it, too. It took me hundreds of tries before I got my stats up to break-even on the intermediate level (two suits); that had to mean I was was winning three out of four or more, but I never really checked... because, by that time, I'd succumbed to the challenge of the "Difficult" setting -- all four suits, two decks of each. Those who've never seen Spider Solitaire -- Apple users maybe? -- won't know what I'm talking about. But many of the rest of you -- maybe most of you -- share my secret shame. I try and rationalize it. It's a means to focus one's concentration, I tell myself, like doodling. Except when one doodles while talking on the phone, one generally stops when the party on the other line says something important. Someday, though, I fear I'm going to miss a settlement offer because I'm agonizing over whether to deal another layer. I've thought about confessing my addiction here many times -- after all, what are anonymous blogs for? But, somehow, I couldn't. Frankly, I was just so pathetic at Spider Solitaire that I didn't want the world to know I was hooked -- and lousy at it. Then, last week, I won my 100th game. Of course, I've lost over 600, for an anemic winning percentage of only 14%. But it's 15% on my machine at home. I'm actually getting better at it. And I can quit any time I want to. I'd gone to pick up Youngest Son at school. His baseball game was rained out yesterday. But Youngest Son hung around school anyway, working the concession stand for a volleyball game -- and mooching his dinner thereby. Youngest Son was not optimistic about the prospects of getting his games in on Saturday either. "I heard they're talking about snow," he told me. Still, there was a bright side to this meteorological gloom. Youngest Son has been invited to two different dances this weekend, on Friday and Saturday, and if there's no doubleheader Saturday morning, there's no danger of the coaches calling on Friday night to make sure he's home in time for curfew. He explained this to me as we drove home last night through the storm. "So," I said, "a rainout would leave you with more time in which to pursue your terpsichorean revels." There was a silence from the passenger seat. Finally, Youngest Son spoke. "Dad," he said, "use English." "I did," I said. "Terpsichorean is a perfectly fine English word. It is derived from Terpsichore, from Greek mythology, the Muse associated with dancing." "All I said was if you are for sure rained out Saturday you'll have more time to spend at the dance." "There," said Youngest Son, "was that so hard?" For various reasons, it was decided that I should have a cardiac stress test yesterday. I will not bore you with all the details. This is a nice, literary way of saying I will bore you with some of the details. They injected me with some radioactive joy juice and then, after a respectful interval, positioned me on a bed about the width of a balance beam, there to take a 15 minute film of me lying still. I'm guessing this is some sort of Zen thing. "Hold still," the nice young lady technician instructed me, "but you don't have to hold your breath." For 15 minutes? No wonder they call this a stress test! Then various portions of my chest had to be shaved and patched and wired up with various electrodes. The different lady technician who performed this operation seemed not to need a wiring diagram. Now it was time for the 'main event' of the procedure. The cardiology resident came in, followed shortly thereafter by the cardiologist. Someone in authority must sign the death certificate if you die on the treadmill. The young resident came in carrying a large cup of coffee. This, I told him, was unnecessarily cruel, inasmuch as I'd not been permitted to have my morning coffee because of the test. "You'd rather have me awake," he said. I considered his assessment. I decided I'd rather have my coffee instead. But I kept that to myself. Most people in the world know how to use a treadmill. I do not. Personally, I can't see the point of walking or running while standing in one place. It is not walking I reject (running being another matter entirely) -- if I have a need to go somewhere, and it's not too far distant, and I'm not carrying too much, I am perfectly willing to walk. But walking is a means to an end, in my philosophy, not an end in itself. I gave this patter as an excuse. But the fact remains that, because I had never used a treadmill, I wasn't very good at it. They tried to teach me how during the course of the procedure. "Well," I said, "if you must. I suppose it is a teaching hospital." I have been commanded by Mimi, the Queen of Memes to participate in Round Two of her Message in a Bottle project. Here are the rules: You are about to send a virtual Message In a Bottle across the Blog Ocean. Leave a message in the sand or on the bottle. Write anything you wish. Be a pirate or a poet. Serious or silly. Anonymous or not. What message would you like to send out to the universe? 1. Compose a message to place in your virtual bottle. 2. 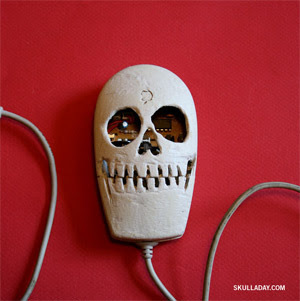 Right click and Save the graphic on Mimi's site -- not this one -- it's mine! 3. Use a graphics program of your choice to place the message on the picture. 4. Post the meme and these rules on your blog. 5. Return your "Message In a Bottle" to Mimi via email ~ mimiwrites2005 at yahoo.com, sign the Mr. Linky on Mimi's post and leave a comment on that post telling her you've finished. IF YOU WANT YOUR MESSAGE TO BE ANONYMOUS PLEASE SAY SO. 6. Tag a minimum of five people - or your entire blogroll - to do the same. Notify them of the tag. Mimi adds, "As always, participation is optional and you do not have to be tagged to play. Check back often to copy the updated lists below for maximum link love. Just remember: I have a dungeon for meme-dodgers...."
Well, I'm in the doghouse often enough; I don't want to be in the dungeon, too. I've looked at the Message in a Bottle site this morning. Because of the specific format, they are not as varied as the PostSecret-type messages... but some of them are quite profound. Now, the rules say to tag people. I hope Queen Mimi will forgive me, but I really don't like to do that -- and many of the people on my blogroll have already been selected by the Queen herself for this project. So... I open it up generally, to anyone who happens by. If you do submit something, feel free to say I sent you. 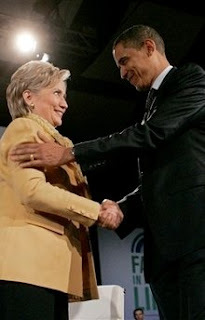 Senator Hillary Clinton has urged President Bush to boycott opening ceremonies at the upcoming Beijing Olympics as a way of expressing American discontent with China's policies towards Tibet and Darfur. But America has not been particularly assertive about the genocide in Darfur -- we've clucked and fretted with little apparent effect. That's not a knock on American policy: Given America's other commitments around the world, that may be the best we can do. With all due respect (and admiration) for Mr. Spielberg's personal decision to remove himself from preparation of the Opening Ceremonies because of Chinese policy in Sudan, even if we did not have Iraq and Afghanistan to worry about, clucking and fretting might still be the most that America should do about Darfur. And Tibet is not Afghanistan. China overran Tibet -- but that was in 1951. While some Tibetan activists and sympathizers yearn for full independence, a degree of autonomy and an end to suppression of Tibetan culture may be the most that can be hoped for. China has been willing to grant some degree of autonomy for regions that benefit China economically. In this instance, the economic benefit would be indirect -- but real, given the diplomatic boost China would receive from such a move. Woman: You go to your place, and I'll go to mine. Man: Hey baby, what's your sign? Man: Your body is like a temple. Woman: Correct! But there are no services today. Man: I would go to the ends of the Earth for you. Woman: Sure, but would you stay there? Come up with the lame pick-up line and the devastating putdown. The best entry will receive a prize of absolutely no monetary value whatsoever, but will receive a hearty virtual handshake and an Internet pat on the back. Today, our benevolent blogging mentor, Barb, wants us to focus our cosmic force (and the text of this week's Heads or Tails) to the word "express." This, surely, is a natural topic for bloggers who are engaged in the ultimate medium of self-expression. Yes! I can see exactly what is intended here -- how we express ourselves through blogging and focus, refine and clarify our thoughts and emotions in this way. And that's why, today, I will write about... falling asleep on trains. There are two types of trains that bring commuters into and out of Chicago, the "Metra" commuter trains -- real railroad trains that run to traditional railroad suburbs on real railroad tracks owned by railroad lines that would be, in their component parts, familiar to students of American History -- the Union Pacific, the Burlington Northern Santa Fe. I don't take those. I take the other trains, which are called "light rail" trains by people who never use them. These are the trains that run down the medians of some of our Chicago expressways, or on elevated tracks, or in subways. 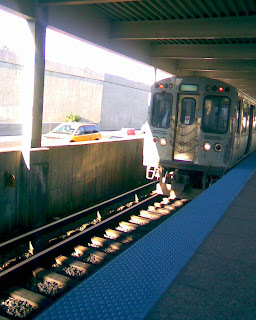 Chicagoans refer to these trains as the subway or the "el." What confuses the tourists is when we direct them underground to the "el" -- or point at the elevated tracks to send them to the subway. I often fall asleep going home on the train -- if I can get a seat. I'll open my book, start to read, and before long I have surrendered into the arms of Morpheus. I haven't slept past my stop more than a handful of times. I'd argue that falling asleep on trains is fairly normal. When I rode the commuter trains, as a law student, everyone in the entire car would nod off. In those days we had afternoon newspapers, kiddies, real newspapers that published in the afternoon instead of the morning. You'd buy the Daily News on the way to the train, read Mike Royko and drift off to dreamland. You just left your ticket out for the conductor. Falling asleep on the subway may be slightly more problematic... after all, the train stops more frequently, people are always getting on and off, there are panhandlers and pickpockets and other gritty, urban realities. But we don't have to leave our tickets out, do we? Usually, of course, I have to sleep sitting down... but there was one time, years ago, when I fell asleep standing up. The train was crowded and we were all lodged in shoulder to shoulder. I had hold of a pole and out I went. The train was the Evanston Express. I know that Opening Day is supposed to be about hope and the future and this-is-really-going-to-be-the-year. But it's not. Not for me. There is that enormous, overwhelming rush when you walk into the seating area for the first time and you see grass so green it makes your eyes hurt. But you don't really see the grass as it is -- you see it as it was, that first, amazing time you saw it as a child. White Sox fans my age don't see the Cell -- they -- we -- I -- see the field as it was, across the street, in the old Comiskey Park. And we are there with the people who first took us, our parents or grandparents, an uncle -- they may be long gone (they are in my case, surely) but they are there, with us, in that one, intense moment. The moment passes. We live in the present and hope for the future, and the talk will be about today's game and whether the Sox should have saved some runs from last night to use this afternoon against Los Piranhas de Minnesota... but that connection is made, and reinforced, and renewed. I'm running late this morning, having started my day at the hospital for a CT scan -- just a follow-up to something from last year. Unrelated to my surgery then, should be no big deal now. But the internist said to do it and I did. When you go in for any sort of procedure, you must be registered. And it's an elaborate process: They start you at the front desk and take your order and your insurance card and your ID and then they send you down the hall to be interviewed further. I'd seen my interviewer before today; we'd met last year when I was registering for some other procedure. I'd found out then that she'd grown up in a parish where my granduncle was pastor. I was never close to the man. My father and mother always attended the big Corn Beef and Cabbage Dinner at my granduncle's church, so it wasn't a matter of there being a falling out... it was just that a priest's parish is (was? can be? should be?) his family. They have prior call over shirt-tail relations. But my granduncle and I share the same relatively rare surname and she'd recognized it at once. "I don't know if you'd remember," she said this morning, "but he used to wear a cape as well as a cassock, and when he wanted your attention he'd put his arm out and wrap you up in that cape and you'd have no choice but to look up at him." I didn't know this, I said. Yikes! I thought to myself. If anyone tried this today they'd be sued. She wasn't looking to sue. She clearly glowed at the memory, losing the narrative a moment as she felt again the sensation. Oh, for a return to more innocent times, I thought, again to myself, as I watched her remember. Aloud, I said, "When he wanted to see you, you had no choice about it." "No, you didn't," she said. Since it is Opening Day, the talk turned to baseball. "He was a big Sox fan," she told me. "We could miss school, as 8th graders, if we were going to the game." I held up my tie. I'm wearing my tie with the White Sox logo on it today, of course. She looked and laughed. "I was raised in the One True Faith, too, you know," I said, and she laughed again. The world is so small. Meet David Sneath, winner of a $136 million Mega Millions jackpot. Kathy Barks Hoffman's story for the AP, posted this afternoon on Yahoo! News, says Sneath told his boss about his good fortune by yelling, "I'm out of here!" on his way to pick up his check. No, sir, none of that pretending that he's going to keep on working just like nothing happened for Mr. Sneath. In addition to quitting his job, Hoffman writes, "Sneath plans to buy a cottage on Mullett Lake in northern Michigan and maybe a new fishing boat or two to help him land the walleye he loves to catch. He's tired of misplacing his glasses and may get laser surgery to correct his vision. And he'll probably move out of his three-bedroom, two-bath ranch home, although he plans to stay in Michigan." He should still have some cash left over: Sneath is taking his winnings in a lump sum -- which will still come to $59.6 million after taxes. But he won't be spending any of that dough on a foreign car. Hoffman quotes Sneath: "I worked for Ford Motor Co.... I won't be buying a foreign product." If more people thought like Mr. Sneath, we might not be in this recession. If it's OK to call it that now. U.S. male life expectancy depressed... us too? Robert Roy Britt's cheery April 3 story for LiveScience.com offers this advice for men looking to live longer: Be born in Iceland. I'm in the middle now of Arlen Specter's account of his recent battle with Hodgkin's disease, Never Give In. Specter, a Republican senator from Pennsylvania, believes that the cumulative stress of a hotly contested primary and difficult general election, closely followed by an unusual struggle to ascend to the chair of the Senate Judiciary Committee, contributed to the onset of his disease. Not so many months ago, as I was struggling to rebuild my business following last year's cancer surgery, my physician noted that my blood pressure was alarmingly high. He wanted to write a prescription for pills to bring it down. "I don't need pills," I told him, "I need about $50,000 to catch up. If you can write me a prescription for that, my blood pressure will normalize immediately." He wouldn't do it. A few months went by, my blood pressure was still high, and I had to start taking pills. Now... well... there may be a whole new round of issues on the horizon, the consequence of either blood pressure too high for too long or of unhappy consequences of taking the new medication. But the root cause -- debt -- is still present. I can chip away at it, and am doing so, but only if I remain healthy enough to work. It is a vicious cycle. 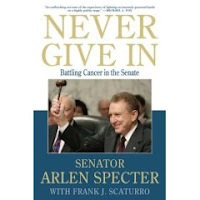 And work was Senator Specter's prescription, too: I'm just getting into the part of the book where he discusses continuing with his Senate duties even while doing necessary chemotherapy. But there is a distinction that must be made between healthy work and debilitating stressful work. Work can -- though it too often does not -- result in feelings of satisfaction and self-worth that help a person focus on things besides medical problems. That's what Specter is talking about in his book. As a member of the Senate, Specter can accomplish, and find satisfaction in, all sorts of things. I hate to say it, but I suspect I'm more the norm than Senator Specter: Too many people find no satisfaction in their work, but only stress. We're depressed, and our life expectancy is depressed as well. I'll try and come back before the end of the day with something cheerier. But I make no promises. I have mentioned, I'm sure, that I have an interior office here at the Undisclosed Location. I don't need a window, really, and when we moved in my other three co-venturers wanted the three offices with windows. As a sort of compensation, I had a clerestory installed so that my office receives some outside light... even if it is mostly fluorescent light from the adjacent hallway. Later, in the afternoon, one of my fellow tenants poked his head in my office and told me he'd just been informed by our new tenant's young assistant that there'd been an electrical fire on one of the lower floors. He was going to investigate. "C'mon," I said, "don't you know what today is?" "April Fool's Day... so you think the kid was pulling my leg?" "Has to be." I was dismissive, probably even turning back to my computer. "Well, I'm going to look anyway," my fellow rent-payer said as he closed the door again. He was back soon after. "There was a small fire," he said. "You could smell it as soon as the elevator doors opened." "Not you, too," I groaned. There'd been no alarm. No evacuation. I certainly never smelled smoke. Sometimes I smell popcorn when someone on the floor below microwaves a late afternoon snack... but that's a different story. My colleague gave up trying to persuade me and went back to his office. "I just wanted you all to know," she began, "that we had a small fire earlier today on one of the lower floors. It was electrical -- one of the baseboard heaters began sparking -- and the Fire Department was able to put it quickly." There'd been two sparking incidents, it seems, one while the firefighters were here. Her news delivered, the lady from the Office of the Building left. I turned to my colleague who first told me about the fire. "You're really pulling out the stops on this one, aren't you? What'd you have to do to get her to come by on this?" He laughed and we both went back to work. And then I remembered... oh, yeah, the sirens. ̊̊̊Middle Son was scheduled to pitch one of the two games to be played, but he didn't know which one. Long Suffering Spouse brought snack foods and sandwiches and other treats that she wished to bestow on Middle Son at some point. And it was such a beautiful day -- almost 40 degrees (Fahrenheit), foggy, misty... damp -- so what better way to spend the day than by enjoying America's pastime? We got there in time for the start of the first game. Middle Son pitched the second game. By the time that game started, we'd raided the trunk of the van and brought out three blankets. And hats. And gloves. And scarves. Ah, Spring. Middle Son pitched a fine game -- a complete game shutout, even if the game was shortened to seven innings because of darkness. But his game performance isn't the surprise alluded to in the title of this essay. There were a good many people in attendance throughout the afternoon. Parents of players, of course. And girls. Lots of college girls. "Bees?" said Long Suffering Spouse. "Yup," said I, gesturing at the boys on the field. "Wherever there's flowers, you'll find bees." During the long afternoon, some college age boys made their way out to the grandstand to say hello to the girls. "Sometimes the bees are flowers, too," I told Long Suffering Spouse. Hypothermia makes you say the darndest things. From what I could tell, many of these young ladies had specific young men in whom they were particularly interested. They all seemed acquainted with Middle Son though. In addition to heckling the opposing players and rooting for their chosen favorites, they all found time to shout occasional encouragement to Middle Son. Our lawn chairs were not randomly positioned. There to watch a pitcher, we set up between the plate and first base where we could see the mound well and, if no one were congregated around the above-ground dugout, the batter. The little grandstand blocked our view of much of the outfield -- but life is filled with compromises. On Sunday, though, we had trouble seeing the plate. There were parents seated along the fence, and people kept standing periodically, probably checking for frostbite. But the real problem was the tight knot of people at the corner of the dugout. There were never more than three or four... but they were ideally positioned to block our view. One was obviously someone's father -- but the rest were girls. As parents, our job is to wait until the end of the game for some brief acknowledgment from our scholar-athlete. If he does well, we may bask momentarily in his achievement; if he does badly, we are expected to offer quick consolation. But, in either event, it is a matter of seconds, because the scholar-athlete has other duties... cleaning the field... running (somehow running after pitching is supposed to help blood flow in the arm, reducing arm strain -- and, no, I have no clue why this may be so). So, on Sunday, as the second game finally ended, we waited expectantly for Middle Son to emerge from the gloom and briefly say hello. But the first person he greeted was a pretty blonde. He quickly disentangled from her hug when he noticed Long Suffering Spouse and me watching. But I recognized her -- she'd been one of the group at the corner of the dugout. We didn't get hugs, although I believe Middle Son may have patted his mother on the shoulder. Long Suffering Spouse remembered she had sundries to deliver. "Mom," he said, "I'm going to be here awhile --"
"Well," I said, "is there anyone here you trust to actually deliver your food to your room?" The blonde was summoned. Awkward introductions followed and Middle Son gave her his room key. We walked her back to our van and gave her the supplies. Hmmmmmm. Today is April Fool's Day and Barb, our spiritual guide and mentor for the weekly meme, Heads or Tails, has suggested "fool" as a topic for this week. Usually, you know, there's some sort of a tie-in to something. Oh well. No one bats 1.000. Meanwhile, try and imagine Sammy Davis, Jr. or Anthony Newley singing "What Kind of Fool Am I?" from the musical, "Stop the World, I Want to Get Off"
What kind of fool am I, who never fell in love? It seems that I'm the only one that I have been thinkin' of! What kind of man is this, an empty shell? A lonely cell in which an empty heart must dwell! What kind of lips are these, that lied with every kiss? That whispered empty words of love that left me alone like this? Why can't I fall in love like any other man? And maybe then I'll know what kind of fool I am! For some reason, the Ricky Nelson recording of this song was stuck in my head this morning. But I had a Billy Eckstine version in the computer to clean that out. Meanwhile, I'll continue pondering how this theme is supposed to tie in to anything.